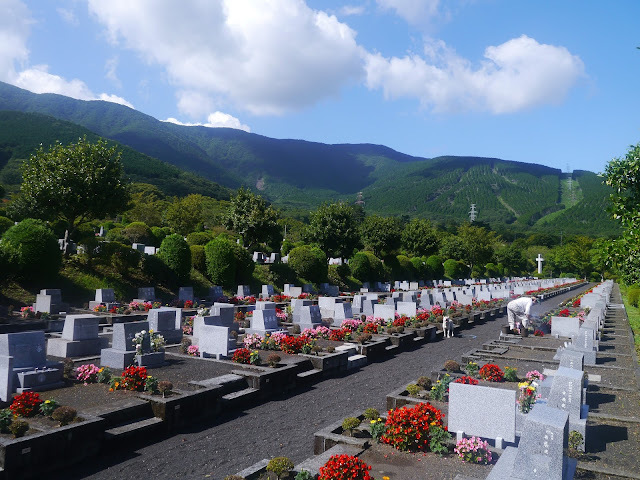 A lot of of Japanese superstitions tend to be concern with death. This isn't uncommon. In the United States, there is the superstition of walking under the ladder, opening an umbrella indoors, or crossing paths with a black cat. Tossing salt over your shoulder cleanses the death and spirits off of you. The deceased are buried with their heads facing north. Doing so suggests one will live a short life. Consuming both foods in the same sitting will cause death. Tried looking for the origins of this, but couldn't find anything. Anyone know the story behind this? Using red ink suggests the person's life will be cut short soon. The origin stems from gravestones. When the gravestone is made, both spouses names are engraved even if one is still alive. The main reason for this is to save costs. In order to distinguish that the person is still living, the engraved name is painted in red. Once they are deceased, the red paint is removed. Don't do it. This is only done during Japanese funerals at the deceased's altar. The same action is done at funeral ceremonies where the deceased is cremated and have their bones transferred to the urn. Originally, the superstition was meant to scare away kids from injuring themselves while cutting their nails at night back in the Edo period days. The superstition now refers to death before your parents, or early death, if one cuts their nails at night. The superstition comes from the play of words from the saying, yoru ni tsume wo kiru to hayaji ni suru 夜よるに 爪つめを 切きると 早死はやじにする or "cut your nails during the evenings, and premature death happens". The part, yoru ni tsume wo 夜よるに 爪つめを or the nouns, evening and nails, sounds similar to yo wo tsumeru 世よを 詰つめる, which translates to "to cut one's life short." But what about superstitions you can't control? Things that are a part of you whether you like it or not? Let's take a look at blood types.